Creative marketing/ branding for a social media environment. Wanted to communicate the need to like the page by showing a directive visual. 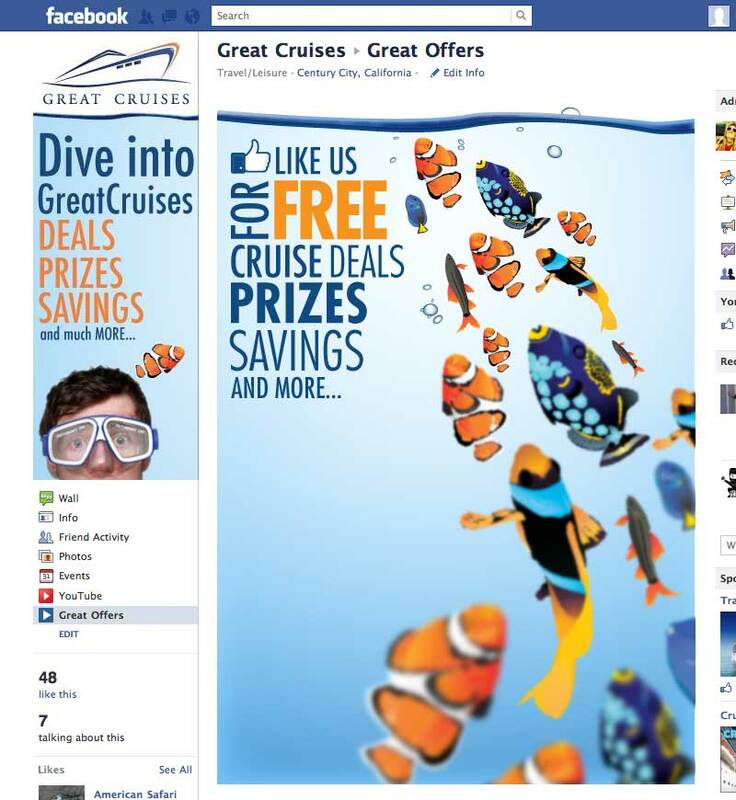 Along with the pre-like page, a follow up landing page allows users to view top cruise destinations and newsletter subscription.